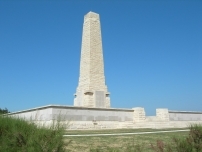 On 25 April, British, Australian and New Zealand forces landed on the Gallipoli peninsula hoping for a quick campaign that would knock Turkey out of the war. But it was not to be. The Turks fought bravely, the terrain was a maze of ravines and very soon the stalemate of trench warfare had set in. Add to this the summer heat, water shortages, dead bodies lying around and millions of flies and the place took on nightmarish proportions. 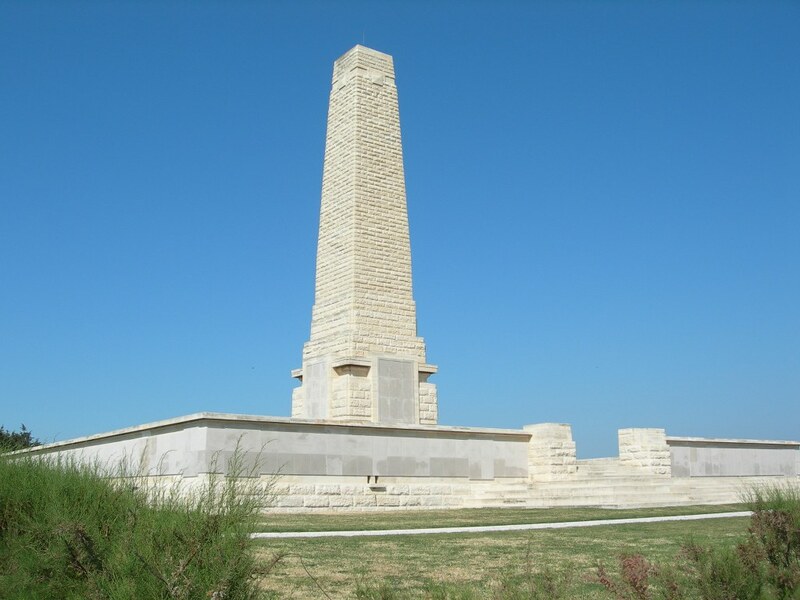 By January 1916, all British, French, Indian, Australian and New Zealand forces had left Gallipoli, leaving only behind the dead, over 56,000 of them. The Second Battle of Krithia, fought between the 6th and 8th May, 1915 failed because both flanks of the attack were unable to gain ground and the Turks were then able to direct their fire on the centre from these positions. So, it was decided that before a new offensive was launched both flanks should be advanced and on 21st June, 1915, the French managed successfully to do this on the right when they bombarded and captured the crest of the Kereves Spur. On 28th June it was the turn of the British to do likewise on the left flank. The attack along Gully Spur by 29th Division at first went well but the further they progressed the greater became the Turkish resistance until the attack finally ground to a halt. Further desperate, almost suicidal attacks by the Turks over the next two days failed to dislodge the British and resulted only in enormous casualties among their ranks. However the advance made by 156 Brigade of the recently arrived 52nd Division, along Fir Tree Spur on the other Side of Gully Ravine was a disaster. The bombardment of the Turkish positions had been virtually non-existent and the assaulting troops met concentrated machine gun fire and suffered enormous losses. By the end of the day the survivors were back in their original trenches. 86 Brigade, made their attack along Gully Ravine between Gully and Fir Tree Spurs. 2nd Royal Fusiliers and 1st Lancashire Fusiliers led the advance with 1st Royal Munster Fusiliers in support. 2nd Royal Fusiliers moved forward from Geoghegan’s Bluff and advanced 1000 yards to capture two lines of Turkish trenches. These they consolidated and then defended throughout the next night from determined enemy counter attacks. 2nd Royal Fusiliers sustained over 250 casualties in this action.